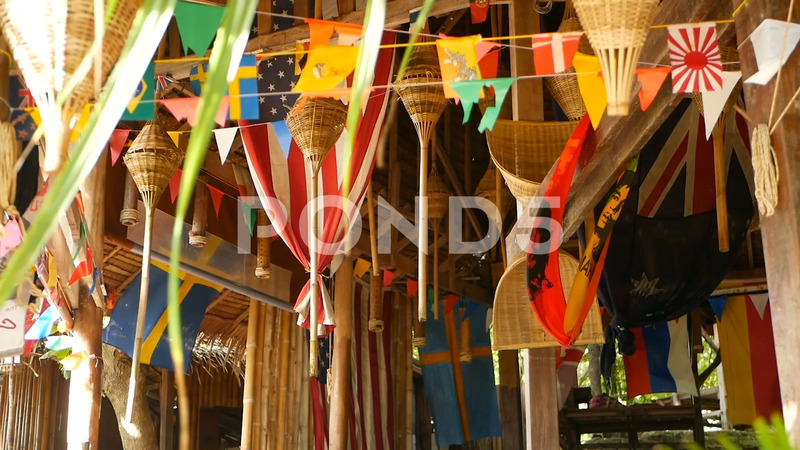 Description: Decorative national flags of different countries hanging on strings in wooden tropical bungalow. Exotic rasta bar interior. Summer beach house on Koh Phangan island, Thailand.